Say the words ‘retro’ and ‘gaming’ and you’re probably going to start thinking of fag ash, 10p coins and “All That She Wants” by Ace of Base. But then this video game is even older than that, we’re just trying to make it appeal to as many of you as possible. Celebrate the explosive birth of an industry that’s still bleeding you dry well into adulthood with this pixel art christmas jumper. 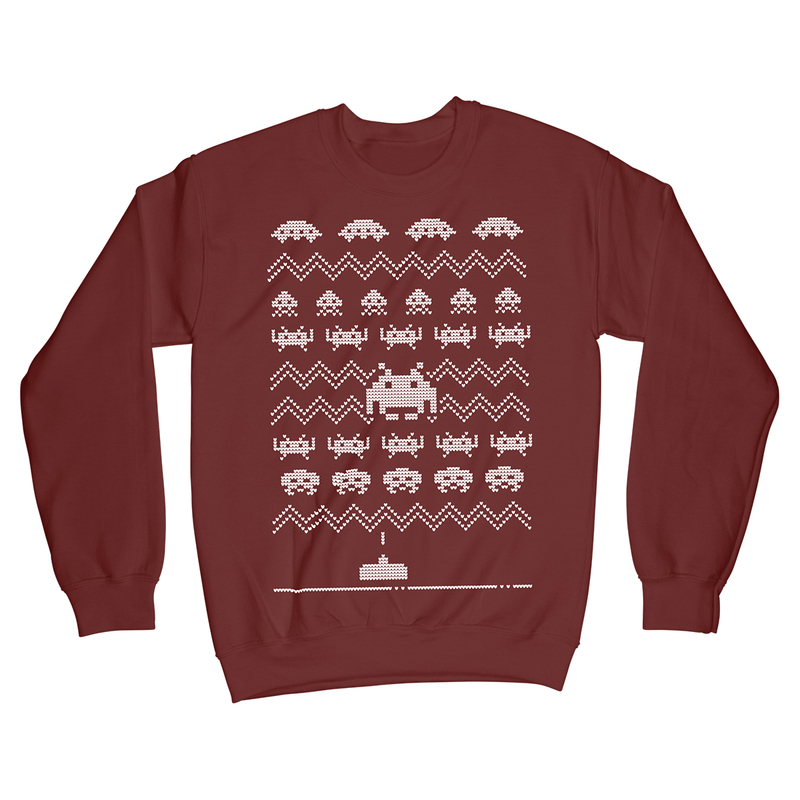 This exclusive design, inspired by Space Invaders, is printed direct-to-garment using the highest quality ink onto the very best quality cotton sweatshirts. Designed to fit snugly and comfortably, these high quality garments will keep your body looking hilarious for years to come.